Environment Southland has had to retrospectively manage the consequences of the rapid growth of dairying in the region. Under previous councils dairy conversions were approved that were inappropriate and the cause of serious environmental consequences. The Waituna Lagoon, for example, would not be under the same level of threat if more robust regulations and oversight had been in place. The recent changes in the requirements for dairy conversions will mean that all new farms need to have management plans in place before they can be approved. Federated Farmers' objection to these new expectations seems nonsensical. It appears that they want to be exempt from the same level of scrutiny and environmental controls that would apply to any other industry that impacts on the environment. Sadly there is ample proof that the dairy industry is not yet one where self regulation and high trust can be applied. 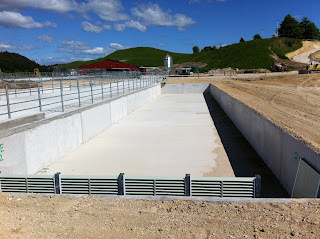 I am struggling to understand Federated Farmers' objection to Environment Southland’s requirements for new dairy farm conversions. While dairying has become an important Southland industry, and has provided obvious economic benefits, there is no denying that its rapid expansion has also come with environmental costs. We have some excellent dairy farmers who take the responsibility of land stewardship seriously but we also have those who have come into the industry with different motives and little care for the environmental consequences of their practices. It seems perfectly reasonable to me that if there is going to be a significant change in land use that a resource consent should be a requirement, as it would for any industry. It also seems to be reasonable that those who intend to convert a farm for dairying should do so with a clear idea of how it should be managed. Federated Farmers seem to be implying that providing a soil assessment, a nutrition management plan and a winter grazing plan is an unnecessary imposition on any new dairy farm owner. Surely, if this can’t be provided then there would be serious concerns about the future management of the farm. I also couldn’t understand how Environment Southland’s new rules had negative consequences on the loan decisions of banks. I would have thought that a bank would look more favourably at financing a conversion that had a good management plan in place. I am aware that banks can put unnecessary pressure on farmers in support of their own profits but it is also a fact that inflated property values have resulted in large loans and over-capitalisation, hardly the fault of our environment council. The reaction from Federated Farmers appears to be a very emotive one and Environment Southland has unfortunately become the scapegoat for all that ails the industry. I have forwarded this post to all of the councillors, Dave. If the letter is published, it will be interesting to see the content of any replies. I genuinely don't get their argument and can't understand how Environment Southland can be responsible for the banks discouraging investment in sheep farming. Have i missed something? You don't usually miss much, bsprout.